There aren’t many artists who release their debut album at the age of eighty-one. Leo Welch has just done that. He released Sabougla Voices on 6th January 2014, on Big Legal Mess Records. Sabougla Voices is a glorious fusion of blues and gospel. Listening to Sabougla Voices, is a bit like discovering a lost classic. You wonder where Leo Welch has been the past sixty years? Moreover, you wonder where Sabougla Voices has been? Has it lain unreleased in the vaults of a record company for many years? That’s not the case though. If Leo Welch hadn’t decided to get in touch with Big Legal Mess Records, his debut album would never have been recorded. It was only with the support of Big Legal Mess Records, that Leo Welch was belatedly, able to record his debut album. Having supported Leo and made his dream possible, Leo repaid their faith. Sabougla Voices is like a journey back in time. The music on Sabougla Voices is a mixture of vintage blues and stripped down gospel. For part of Sabougla Voices, it’s like turning back the clock and wandered into a post war juke joint. There, Leo and his band create blues music that’s reminiscent of Magic Slim, Big Jack Johnson, Booker T. Laury and a whole host of blues greats. That’s no surprise. Leo began his career playing the blues. Later, as blues fell from favour, Leo started singing gospel. However, Leo still loved the blues and on Sabougla Voices, gets the opportunity to showcase the musical loves of his life, blues and gospel. 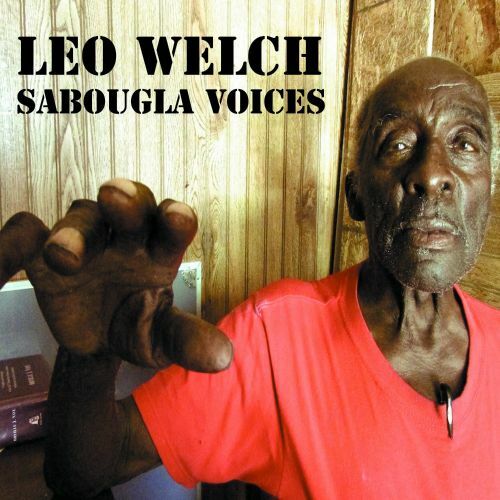 Before I tell you about Sabougla Voices, I’ll tell you about Leo Welch’s life and career. Leo Welch was born in Sabougla, Mississippi, in 1932, where he’s lived all his life. He was born into a large family, growing up alongside seven sisters and four brothers. It was only when Leo and his cousin Alandus borrowed their older cousin’s guitar that Leo’s musical ability became apparent. Soon, Leo and Alandus were able to play the guitar better than its owner, R.C. Welch. They were able to play songs that were playing on the radio and entertaining their family. Gradually, Leo graduated to the fiddle and harmonica. Eventually, whenever there was a party, picnic or family gathering, Leo along his cousin R.C. Welch and Otis McCain would provide the entertainment. From there, Leo got the chance to play with professional musicians. Whenever professional blues musicians swung through Sabougla, Leo got the chance to sit in with them. Although he more than held his own during these jam sessions, nothing ever came of them. This was the same with auctions. Always, come Monday morning, Leo was back at work. This meant logging or working at the local farm. It seemed, music wasn’t going to provide Leo with escape from the daily grind of 9pm to 5pm. While Leo looked like he never was destined to get a break, he absorbed music. Whatever was on the radio, Leo listened to. It didn’t matter if it was soul, blues or gospel, Leo listened intently. He loved music. It was one of his passions. This was lucky, as music was changing. Blues was no longer as popular. So around 1975, Leo switched to singing gospel. Leo had first heard gospel music at church. He also listened to gospel on the Nashville radio station WLAC. Gospel was enjoying something of a renaissance. Even better, there were plenty of venues spread across Mississippi. For Leo’s new group, Leo Welch and The Rising Souls, this meant new opportunities for Leo. He modified the blues music that he’d been playing and embarked upon a new chapter of his career. Maybe this was the break he’d been looking for? Since then, Leo has played in two gospel groups, based in the Bruce area of Mississippi. These groups are The Spiritualaires of Bruce, Mississippi and Leo Welch and the Sabougla Voices. Away from playing live, Leo has been the host of The Black Gospel Express TV program. Then in 2013, out of the blue, Leo decided to get in touch with Big Legal Mess Records. That was the start of the journey that lead to Leo recording his debut album Sabougla Voices. Big Legal Mess Records provided Leo with the funds to record Big Legal Mess Records. Then in summer 2013, Leo and his band headed into Dial Black Sound’s recording studios. That’s where Leo and his crack band of musicians laid down the ten tracks that became Sabougla Voices. For the recording of Sabougla Voices, Leo and his band headed to Dial Black Sound’s recording studios. Leo’s band featured a rhythm of bassist Bronson Tew, guitarist Jimbo Malhus and drummer and organist Andrew Bryant. They were joined by Matt Patton who played bass and guitar, while Eric Carlton played piano and organ. Adding backing vocals, were The Sabougla Voices, Martha and Laverne Conley. Bruce Watson produced Sabougla Voices which I’ll tell you about. Opening Sabougla Voices is Praise His Name, a fusion of blues and gospel. From the get-go, there’s a glorious vintage blues sound. While the rhythm section provide a driving, pounding heartbeat, guitars trade searing, crystalline licks. Leo’s at the heart of the action, unleashing his trademark guitar licks. He puts his seventy years of experience to good use as his band fuse, bluesy, funky licks. Then Leo sings call and response with The Sabougla Voices, who provide the gospel influence. His vocal is gnarled but impassioned and emotive. The harmonies provide a contrast, and are heartfelt and soulful. As Leo and the The Sabougla Voices provide joyous gospel, his band provide some blistering blues. This potent fusion ensures Sabougla Voices gets off to a storming start. From the opening bars, You Can’t Hurry God bursts into life, proving the devil doesn’t always have the best tunes. What follows is a track whose roots are in the church. It’s a hook-laden fusion of gospel and blues. Accompanied by a honky tonk piano, handclaps and good-time, pounding beat, Leo delivers a swinging vocal that oozes sincerity and emotion. Uplifting, joyous and spiritual, it might even make a believer out of you. Me and My Lord has a much more understated, traditional blues sound. It has more of a delta blues influence than previous tracks. That’s no bad thing. This suits the song, allowing the lyrics to take centre-stage. Again, they’ve a spiritual quality. With just acoustic guitars and understated rhythm section, Leo sings call and response with The Sabougla Voices adding sweeping harmonies. Leo is like a preacher, and The Sabougla Voices his congregation. They feed off each other giving thanks, which we should do, for music as good as this. Take Care of Me Lord sees Leo and his band plug in, and the a rocking slice of blues unfolds. The track reminds me of the blues being released during the fifties. Just like previous tracks, the arrangement has an authentic blues sound, but the vocal is gospel-tinged. Leo’s blistering guitar is accompanied by a pounding, 4/4 beat. His vocal is worldweary and powerful, as he sings call and response as Leo confesses his sins. Meanwhile, The Sabougla Voices provide the perfect foil, as Leo lays bare his soul. Mother Loves Her Children sees Leo slow the tempo, as he reveals his soulful side. It’s easy to imaging Leo recording the track. I can picture him sitting in the studio with just an acoustic guitar and deliberate rhythm section for company. He then delivers a slow, soulful and heartfelt vocal, as he sings about a mother’s ability to forgive the sins of her children. Leo’s vocal isn’t judgmental. No. It’s as if he finds this only natural. Emotive, powerful and cerebral, it’s also deeply moving. Praying Time reminds me of You Can’t Hurry God. It has a similar joyous sound as it bursts into life. As Leo’s band drive the arrangement along, he sings call and response. Leo give thanks during what’s essentially a call to prayer. He ensures the song swings. Helping him every step of the way are The Sabougla Voices. They fuse soul and gospel during this hook-laden song of praise. Somebody Touched Me is a mid-tempo track driven along by a blistering, guitar solo. Behind the guitar, the rhythm section provide the heartbeat, before Leo delivers a vocal about a religious experience. His vocal is heartfelt and sincere, as he deals with what for many people, is a very personal experience. Accompanying him are The Sabougla Voices. He sings call and response, and just like other tracks, they prove the perfect foil for Leo, helping make this song come to life. A Long Journey has a slow, moody, bluesy sound. Leo and his band deliver a heartbreakingly beautiful track. Leo’s vocal is full of sadness and uncertainty, as he considers “A Long Journey” everyone takes. To quote Jim Morrison, “no one here gets out alive. His vocal is weary and lived-in. Guitars chime, answering his call, while drums mark time, as a maudlin, melancholy Leo contemplates that final journey. His Holy Name is another track that sounds as if it was recorded sixty years ago. The guitars have a lo-fi sound, while pounding, rocky rhythm section almost pogo their way across the arrangement. Leo’s vocal is raw and impassioned, as shredded guitars are unleaded and the band find the groove. As for Leo, his vocal veers between gospel, funk and soul, his vocal veering between a vamp and his usual style. Quite simply, Leo and his band play their part in one of Sabougla Voices’ highlights. However, I’d have changed the running order and made this track the final track on Sabougla Voices. Closing Sabougla Voices is The Lord Will Make A Way. It’s very different from the previous track. It’s an acoustic gospel track with a delta blues influence. Here Leo reaffirms his belief in the Lord’s ability to guide him through life. Just like so many of the tracks on Sabougla Voices Leo’s vocal is sincere, heartfelt and impassioned. Everything they say, comes to he who waits. That’s the case with Leo Welch. That includes releasing his debut album, Sabougla Voices. He’s certainly waited long enough. Leo is now eighty-one year old, and has only just released his debut album on Big Legal Mess Records. At last, Leo Welch Mississippi music’s best kept secret made can be heard by a wider audience. Previously, Leo’s music was only heard in churches in the Mississippi area. So it’s fitting for his debut album Sabougla Voices, the music reflects Mississippi’s musical heritage. Mostly, Sabougla Voices is a fusion of blues and gospel. This includes both delta and electric blues. Then there’s the gospel music on Sabougla Voices. It’s stripped down and understated. Just Leo and his backing vocalists The Sabougla Voices deliver some of the most joyous, uplifting and celebratory gospel music. However, during Sabougla Voices Leo takes detours via soul, funk and even rock. The result is a genre-hopping musical journey. During the musical journey that’s Sabougla Voices, the music is variously hook-laden, joyous, celebratory, cerebral, uplifting, thoughtful and spiritual. Seamlessly Leo Welch and his band fuse musical genres. The result is Sabougla Voices, which includes music for the heart, soul and feet from the man who was once Mississippi music’s best kept secret Leo Welch. Standout Tracks: You Can’t Hurry God, Take Care of Me Lord, Praying Time and His Holy Name. ← BRIAN ENO-AMBIENT 1/MUSIC FOR AIRPORTS.